University of Limerick conferred Honorary Doctorates of Letters on the band members of Limerick rock band The Cranberries. Mike and Noel Hogan with their family at Plassey House, UL. 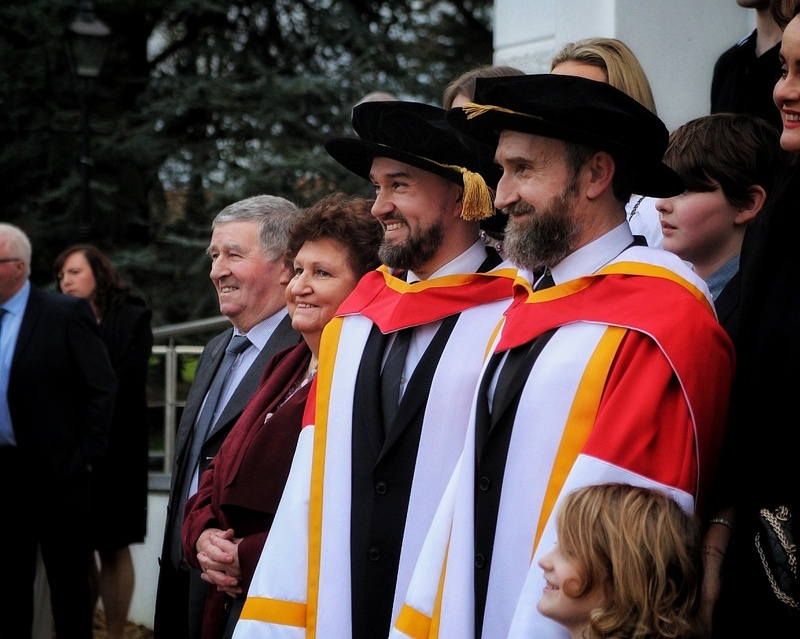 Guitarist Noel Hogan, bassist Mike Hogan were presented with an Honorary Doctorate of Letters. 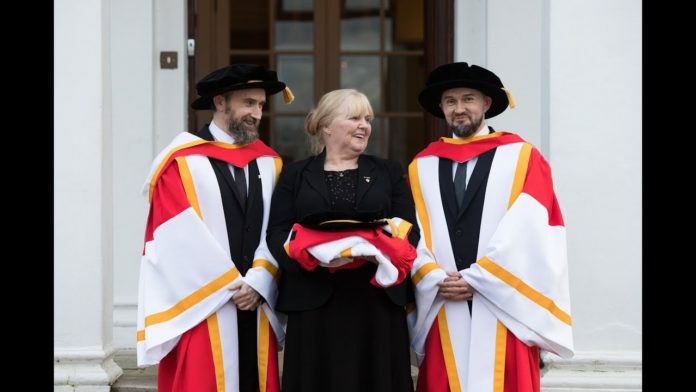 The Cranberries drummer Fergal Lawler was unable to attend and his doctorate was accepted on his behalf by Mike Hogan. Eileen O’Riordan, mother of lead singer Dolores O’Riordan, who tragically passed away this time last year, was presented with a posthumous Honorary Doctorate of Letters for Dolores O’Riordan. Speaking to the press before the ceremony, Eileen O’Riordan Dolores didn’t know how loved she was by the people of Limerick. “I don’t think she did. She loved Limerick, she was very proud, happier in Limerick than any place. Well I didn’t realise how much she was loved, I didn’t really. Band Member Noel Hogan said Dolores would “get a great kick out of this”.